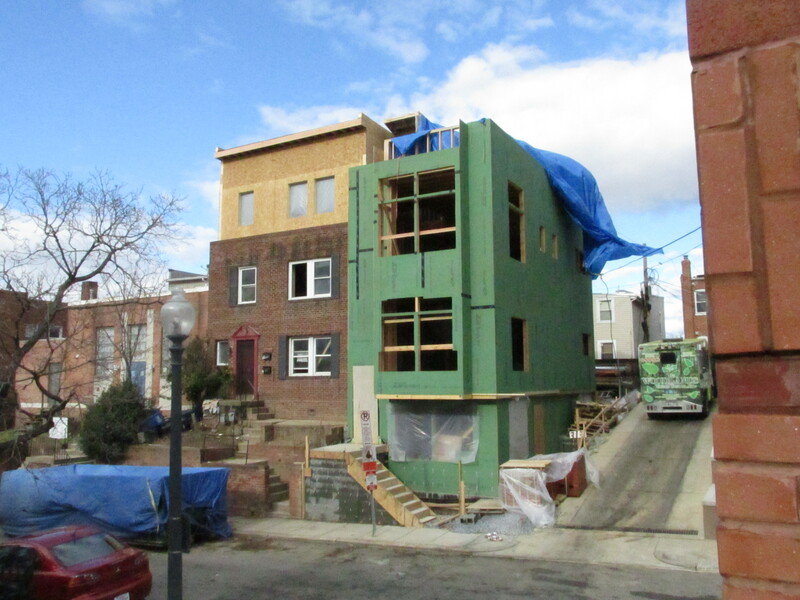 More Area Housing Under Construction on Hobart Place, NW | Park View, D.C. I was delighted to see that the property at 725 Hobart Place and the vacant lot next to it are being developed and increasing available housing in our area (albeit on a small scale). I also think this is a good example of when a building lends its self well to adding height and depth to an existing building. According to the floor plans for 725 Hobart (below), it reads that the building will be a two unit building. The lower level will be all on one floor and contain two bedrooms. 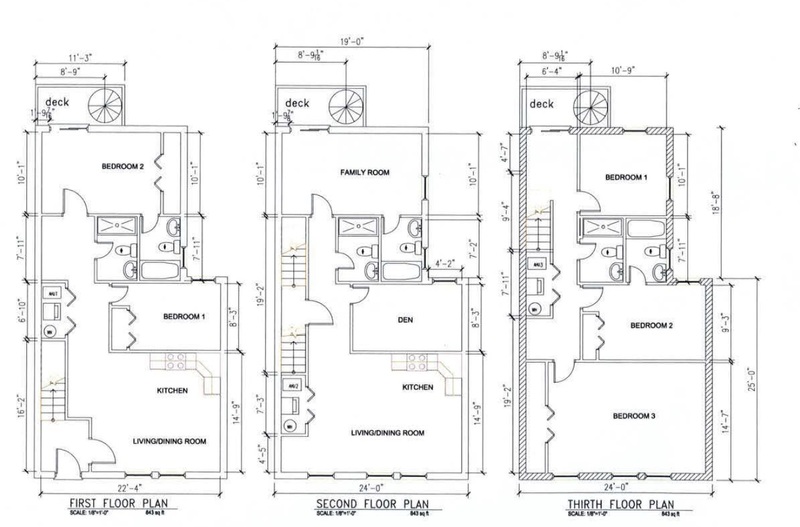 The upper unit will be on the second- and third-floor and have three bedrooms. This property is located just west of Georgia Avenue. While I like the family-sized three-bedroom unit, I also have to question if this will be a group rental for university students based on how close it is to Howard. I haven’t been able to find any plans or permits for the building to the east of 725 Hobart so I don’t know if it will be a multifamily building or not … but I’m betting it is at least two units (it wasn’t included in the plans for 725 Hobart and I haven’t been able to locate a separate permit for it yet). This entry was posted on December 30, 2014 at 7:01 am and is filed under Architecture, Development, Housing. You can subscribe via RSS 2.0 feed to this post's comments. Hey Kent, 725 is being developed by a young family. The owner stopped by the surrounding neighbors several times and from what he told us previously, the bottom unit is intended for his sister and the top unit will be for his family. The space next door is a big ? however.